A meeting of representatives was held in Pallikkara Church to select the 12th Mar Thoma and four names were short listed – Mamalasseril Konat Abraham Malpan, Chepat Anjilimoottil Philipose Kaseesa(Syrian equivalent of Presbyter), Kalloopara Adangapurath Yoseph Kaseesa, Kottayam Eruthickal Markose Kaseesa. The lot fell for Chepat Anjilimoottil Philipose Kaseesa and he was consecrated as Dionysisus IV by Mar Philoxenes of Thozhiyoor. (He refused to receive the “Kaiveppu” of Abdum Sheeh from Antioch). It was during his time that Abraham Malpan celebrated the holy communion in Malayalam at Maramon using the revised Thaksa. 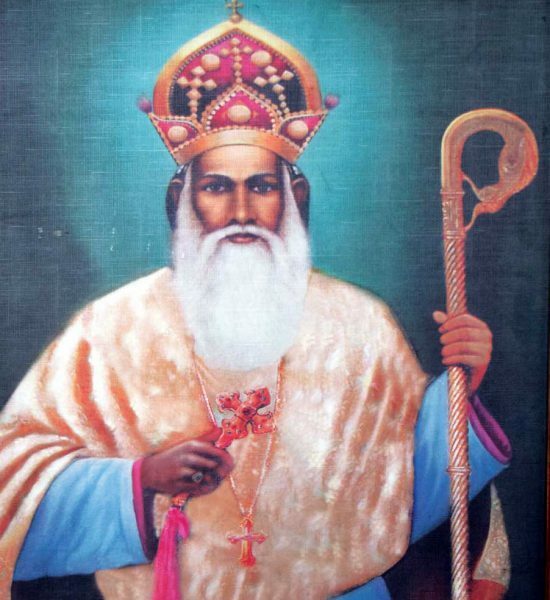 Mar Dionysius gave up his seat for Euyakim Mar Koorilose, but as a result of a royal proclamation, it was Palakunnath Mathews Mar Athanasius who became the next Metropolitan as Mar Thoma XIII.